This fluff bum mum has been wanting to talk about our nappy journey for months. A fluff bum mum/parent is a term given to those using cloth nappies. It has been just that, an experience and a journey, especially learning the lingo! But then part of me didn't want to talk about it because truthfully it hasn't been the easiest of roads and isn't my blog here to help sway people to the low-waste lifestyle? I guess that's why I write my blog to share what i've learnt while I fumble around trying to do my best to live zero-waste, hoping others on the same road will learn from my wrong turns. Through these groups I learnt about the various MCN styles, the difference between a prefold and a flat, how to use a snappy and the steps needed to preform a successful strip wash. It was also where I discovered thousands of helpful parents, ready to share their love of cloth nappies with everyone. And for someone who knew next to nothing about cloth nappies, or any nappies in general...and let's be honest babies too, it was reassuring knowing there was a group I could turn to when I needed a question answered. How did I choose our nappies? Not long after I began researching one of my sisters acquaintances (who reads this blog – hello!) offered to send me her used cloth nappies. They had been through two children and were still in pretty good shape. A few pils and some elastic was loose, but definitely usable for another child. She was happy to pass them on for free, I only had to pay for postage. The brand was Close Pop-in, an all-in-two (AI2) with a double gusset. My Mum saw them and commented I might not like the velcro for when he's older and learns to open it himself (ha! ), asking if she could buy a pocket style with snaps similar to my sisters Pea Pods. I said yes and soon enough, she found gently used pocket nappies on Gumtree. If one style worked better than the other, then I'd pass on the brand I didn't use. I visited the Clean Cloth Nappies Down Under group and the nappy brands website to preform a strip wash (nappy terminology for a deep clean) and put them both styles away until my baby's arrival. The Australian Nappy Association has explanations of all the different nappies and other terms in this link. Very handy and one worth bookmarking for reference. It helped breakdown everything for newbies like me! It was around this time my obstetrician began to worry about the growth of our baby. His measurements had slowed down, the term IGUR (Intrauterine Growth Restriction) was being used and I was monitored frequently to make sure all was OK.
One day after a test I was looking at our carefully organised clean reusable nappies ready for our sons arrival and I wondered if they would even fit him if he was born small. There were brands specifically for newborns but even then I was unsure what delivering a smaller baby meant. My research eventually lead me to flats (one piece of cloth, similar to the terry towelling used before MCNs). I'm glad it did because they were perfect for our baby. They were a little harder to find secondhand and I ended up doing a call out in the Buy and Sell MCN group to see if anyone had a stack they would like to sell. Turns out many parents hold onto them as they make great all purpose rags. I bought around 20 for $50, plus five covers secondhand. Turns out when our baby arrived (a healthy 3kg mind you!) the nappies I had bought would not have fit him just yet. However, the flats were amazing and I'd recommend them for newborns! Not only are they versatile and low cost, but also easy to clean and can dry in a matter of hours. There are several folds to use with flats to fit any baby (here is a link for a variety of folds or check out youtube). PUL covers were used to keep the nappy from wetting his clothes. At the beginning we did put his flats into a nappy soak before washing and it took me a month to realise this was not necessary and was contributing to his nappy rash. In between changes during the day I was a big fan of nappy free time. We bought a stack of secondhand towels for this purpose and let him wiggle about. The more nappy free time, the less irritation too. Around the three month mark our flats were no longer fitting him. The little 3kg baby had caught up and then surpassed most other babies in size. Especially his thighs and bottom. Our son was not graced with a small baby bum, instead he has a long flat bottom which quickly earned him the name Mr. Longbottom. No matter how I folded the flat I couldn't get it to cover his bottom completely. We then moved onto the pocket nappies and the all-in-twos I had purchased earlier to see which would work better. In the end we found the all-in-twos were better for our son. For some reason the pockets never absorbed his pee quick enough and it would wick up the back leaving his clothes saturated during naps. The Close Pop-ins were great. I couldn't fault them except for the PUL lining, a plastic lining found on most MCNs that makes them waterproof. I'll write a little more about the plastic issue further down. At six months and another growth spurt the nappies become snug around his waist and thighs. I asked the various forums for help trying the advice others had for big babies, but nothing really worked. I had a big baby with a big bottom and big thighs. Simply our Close Pop-ins were not suited to his body shape anymore. I was a bit annoyed, my sister had used the same nappies since birth for her son and here I was, on my second style. Now I had to find a nappy style/brand for bigger babies. So began my search again. Every time I researched I kept thinking about the PUL (polyurethane) lining and the polyester outter shell of the nappies. While I knew cotton was the only fibre touching his skin on the inside of the nappy, there was still a fair bit of plastic fibre in the rest of the nappy. Since nappies are washed often I knew they were shedding plastic microfibres. I felt guilty and then confused if I should be feeling guilty. Another reason why I was hesitant to write this blog post was because I didn't want anyone else to feel bad for using MCNs because of this. In the end I decided to use this opportunity to go for an all cotton option and with wool covers. The thought of wool covers was daunting a the start. I dread hand washing my own woollens. I envisioned that I'd be moving my bed to the laundry room. Plus it was hard to find secondhand wool covers before someone else snapped them up. Then one of my friends (who co-runs Zero Waste Victoria with me) pushed one of her used wool covers into my hand after one of our events and told me to just give it a go. I lanolinised it (a natural waterproofing method) and well suffice to say I was hooked. The process was not hard at all plus it felt reassuring knowing I was putting natural breathable fibres onto my son. In the end we went back to flats in a larger size. I couldn't find any secondhand in the large size and bought new unbleached cotton from Nicki's Diapers. Buying from overseas is always a last option for me. Unfortunately no where in Australia stocked flats big enough. For every nappy purchased from Nicki's Diapers one is given to a child in need. The larger size fits him perfectly. He's a lot more comfortable and his nappy is no longer popping off. We did keep the Close Pop-ins just in case he slims down now he's up and moving but I doubt they will get much more use. Plus I don't know if they are going to be as absorbent for another child (the cotton is thinning and the PUL is peeling in some places) so I'm going to upcycle them instead. And this concludes our nappy journey for the past year. Of course, he will be toilet trained in another three months and that will be the end. Haha. I wish! The amount of parents who have told me boys take the longest to toilet train has me fully prepared to be wrestling a nappy onto him for another year or so. I'm going to save the PUL vs natural plastic nappies conundrum for a different post. I have faced a bit of confusion around zero-waste vs plastic-free during my parenting journey. On the top left are the Close Pop-ins and to the right are our flats folded, ready to go. I found a unopened packet of snappies at my local Op Shop. Snappies are used instead of pins. In the middle are our cloth wipes. First of all, our experience with nappies has been a special one. For those who have had the pleasure of meeting my son will attest to his larger size. I had someone ask me the other day if we celebrated his second birthday and were shocked when I said he was turning one. Everyone I know has used the same nappies from day one and had uncomplicated experiences. We are the rare exception!! When we have baby number two (hey, we are talking about it...) I will use flats exclusively with woollen covers because I feel these most comfortable to use now. No, we never used liners. I know some people use flannel strips made at home or bought online. I've seen silk as reusable liners too. We just never saw the point. If you'd like to sell your nappies on a liner would be a good idea to reduce the possibility of stains. The flushable versions are not biodegradable and clog up sewerage pipes. What about cleaning nappies – isn't it icky? Cleaning nappies is easy and I don't find it gross. My husband doesn't find it yucky either. At the start everything is washed down the sink and there is not much. Plus, it's your kid and for the first six months he's only consuming breastmilk or formula. Later on as they start consuming solids then it's best to either scrap down into the toilet with a knife or install a hose on your toilet. Remember it's not forever either. Put wet nappy into dry bucket (known as dry pailing). If it's soiled we rinse off and place into the bucket. We have a two story house, so one bucket is in his room that is emptied each day into the main wash bucket down stairs. Once this bucket has two days worth of clothes and nappies, in it goes for a wash.
We continued to use the washing powder from our bulk store we used previously. Turn on washing machine and the washing faeries do the rest. I air the woollen covers outside everyday and wash them once a month followed by a lanolise for waterproofing. Something in the lanolin helps neutralise any wee that soaks into a woollen nappy cover. Did you know wool can carry around 30% of its own weight in liquid! They never feel wet in the morning either. Plus the less washing the better, in my opinion! If the cover becomes soiled, which is so rare, then the cover is hand washed that day. When I was in the hospital one of my midwives told me she hand washed her children's nappies in cold water every day, with no help from her husband. I keep that thought tucked away in my mind when I sometimes can't be bothered to clean the nappies, a chore I share with the Builder. And yes sometimes I don't want to do it because I can't be bothered. I'm human. And I can't imagine i'm the first woman to think this in the last thousand years or so. I bet there was a woman in the year 1480 who looked at the pile of nappies she had to wash and rolled her eyes. I totally understand HOW and WHY disposables became popular. But honestly the above is not much more work because I have access to a washing machine – it takes around fifteen minutes and I don't have a bin full of poo. I'll take reusables over THAT any day. Do you have a recommended recipe for baby wipes? We used cloth flannel and water. No oils. No soaps. No essential oils. Just good ol' water. Yes! I would have bought flats straight away and then signed up for a Nappy Library where you can trial the styles before settling on what works for you and bub. This would have been a good option when we were trying to find a style for larger babies. Are cloth nappies really more environmentally friendly than disposables? Is it actually cheaper? We worked out that buying disposables from birth to two half/three years old is around $2800 - $3000, factoring in the products being on sale, received as gifts or passed on excess from family/friends. Buying brand new cloth nappies costs about $1000 if choosing a higher priced brand or much less if going secondhand. In both instances, these will be used from birth for most children (except us! Haha!). To date our nappies cost $645. This includes our first nappies which were free but had to pay for postage. The flats we used at birth until three months. Buying new flats from overseas (postage was huge!) and sourcing the woollen covers and lanolin too. Our laundry powder costs $11.95 kg. I use a front loader meaning the required amount of washing powder needed is less than a top loader; about a one and half teaspoons. I get 110 washes out of 1 kg of powder and costs 10 cents a wash. I would say we washed each day until he was 3 months old then every 2 days since. So I would guess i've washed 300 times in the last year factoring in other washes like towels, sheets, our clothes. For the past year I've spent $35 on washing powder. I don't know how much longer i'll be washing every two days (this should decrease soon, hopefully). If the trend does continue I will spend all up $105 for my washing powder until he's three. I wash at 30 degrees Celsius on 2.15 hr cycle. We calculated the electricity per wash costs 16 cents. The estimate for our electricity used by our washing machine over three years is $144. Front loaders use very little water compared to top loaders, the draw back are their long cycles. The good folk at Electrolux were able to help me figure out how much water is used in different cycles while I was putting in a service call. My usual cycle uses 44L. After the Builder did some number crunching and a call to City West Water we worked out it costs us 10 cents per wash plus water usage charges (water service charge and sewerage service charge) is around 8 cents per wash. This has cost us $54 so far, and for three years will come to $162. The projected total cost for three years runs at $1056. A saving of over $1800. Now how many people have quickly calculated the 44L by 300 washes? Yeah, it's a fair amount of water we are using and this is where the argument around disposables vs cloth nappies begins. A study by the UK Environment Agency in 2008 claimed more water is used when washing cloth nappies compared to the water needed during manufacturing of disposables. The amount is not to different, but still enough for many to argue that cloth nappies are less eco friendly than disposables. It's up to the consumer behaviours to dictate the full environmental impact of a reusable nappy post purchase. For instance, choosing line drying over using a dryer, washing below 60 degree Celsius and using for more than one child. Disposable nappies go to landfill. There is the energy used to transport them to landfill and to maintain the site. Energy required by consumers to travel to shops each week or fortnight to purchase nappies adds up. More land is required to produce the raw materials, plastic and wood pulp, needed in disposable nappies since they are a single use item. There is also the constant need for water and energy in the manufacturing of wood pulp plus waste as a by product. Australians send over 2 billion nappies to landfill each year. It's predicted they won't break down for at least 500 years at the minimum. Until then, viruses or bacteria from illness passed through baby is sitting untreated. This is one of the reasons why landfill sites cannot be disturbed as they pose a significant health risk. Not all single-use nappies have the same environmental impact either and there are more eco friendly options too like biodegradable and hybrids. I don't know much about these though so I can't advise on brands. What I do know is that if the brand claims to be biodegradable ask them where it can be dropped off for compost. Most council composting services don't accept them because the composting facility don't accept biodegradable nappies. If a company claims an item they are selling is biodegradable then they should do the due diligence and list where they can be dropped off or even collected for composting. It shouldn't be wholly up to the consumer to figure this out. 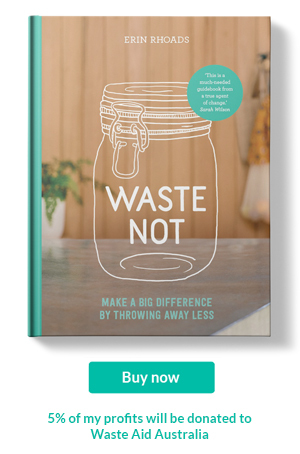 Over 80% of Australian families use disposables either all the time or in conjunction with cloth. While i'd love to see everyone embrace cloth nappies it might take a long time for this to happen. What needs to start happening is for businesses to make changes in the manufacturing process and working to find effective waste management solutions. If you are a user of disposables and not yet ready to move onto cloth, then write to the brands you use asking them to make changes. Nope, you are not allowed to walk away feeling bad if you trying to reduce waste but can't grasp cloth nappies yet. It's OK. This parenting gig is hard. You could try swapping to reusable wipes to start with and ease your way into reusable nappies. I understand cloth nappies or cloth nappy cleaning services for those who want to outsource are not available or easy to use for everyone. No judgement :) I've even heard of families in apartment blocks with shared washing machines who are not allowed to wash cloth nappies. There are disposable brands out there that do use more cotton and less plastic. But they can be a little more pricey for some. Some of these roadblocks are not your fault - again don't feel bad. Don't feel guilty if you nappies might have a lining of plastic. I will happily admit the wool covers do have an extra step in maintenance than PUL covers. We're all just doing the best we can, with what we've got, where we are.